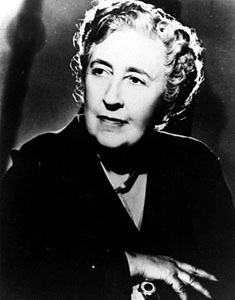 I am a huge mystery lover and have recently indulged in picking up one of the most renown mystery authors, Agatha Christie. This woman was an incredible badass. Excuse the language, but it is literally the best adjective I have in my vocabulary to describe the genius that created Hercule Poirot, Jane Marple, and the husband and wife sleuthing team, Tommy and Tuppence. Christie takes the art of a Who Done It novel and crafts an elegant piece of writing filled with wit and charm. Despite being introduced very quickly to a plethora of characters, I feel as though I know them all! I began my journey with The Murder at the Vicarage, which is the first in the Miss. Marple series. In an interesting twist, the novel is written from the first-person perspective of the vicar- a mystery that does not follow the actions or point-of-view of the detective! Despite being considered an older mystery novel, I didn’t find the writing style difficult to follow. Passages and language flowed and though the phrases were a bit outdated I was perfectly able to take a gander at their meaning or look them up. With the stress of planning a wedding (7 Weeks!) and the host of spontaneous fires going on in my life I found myself escaping into this novel frequently. It was an absolutely fascinating experience, and one that I plan on repeating over and over again. I can not wait to pick up the next Miss. Marple. Stein’s work is a beautiful piece of craftsmanship depicting the human experience in a candid and very honest way. 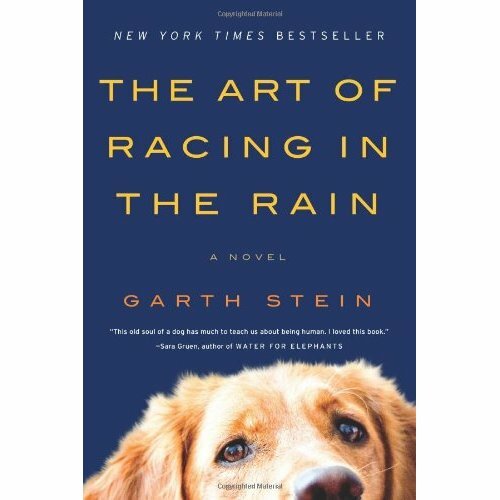 In fact, the words “very honest” simply aren’t powerful enough to describe the experience of reading The Art of Racing in the Rain. R. Williams in Dead Poet’s Society. If you haven’t seen it we’re probably not friends. Only Robin Williams can do my feelings justice! The story is experienced through the eyes, ears, and nose of the lovable and forever loyal Enzo as his master, Danny Swift, lives and races. Despite knowing little about the racing world (and honestly having almost no interest in it) I adored the book. The extended metaphor captures the little moments within this little family so well, a slow down of the high speed pace of life. Sometimes a turn is made with such precision that you can hardly believe the execution and at other times you end up in the pit with a flat tire and blown transmission. Take Two! At one point during the novel Enzo says that although he cannot relate the details of a particular event he knows the emotions behind it and thus, despite the specifics probably being incorrect, the story is still true. I found this story to be so true it was almost unbearable at times. We walk as Enzo beside Danny when his daughter Zoe is taken from him by his in-laws, when he watches his wife being buried from afar, and when he is destitute in a hovel. One of my favorite recurring symbols throughout the novel is the evil zebra, which first manifests when Enzo is forgotten and becomes delirious without food or refreshed water for days. Afterwards, the zebra appears when anything Enzo declares to be evil touches or interacts with the people he considers family. Despite the dark topics that the novel deals with, there is a lighthearted undertone that is never lost. I was miraculously inspired as I read, even at the darkest of times. If you haven’t thought about Stein’s book or added it to your GoodRead’s list, I would seriously re-consider. We can learn so much from observation, and our furry friends are the ultimate observers. Save-the-Disasters– Wedding shenanigans! So. Many. Shenanigans. 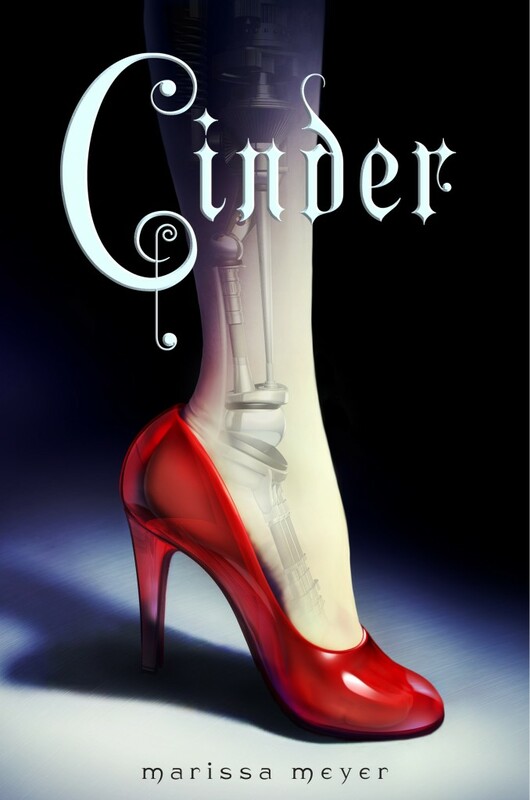 Instead of doing a traditional, rather long-winded review, I’ll give you just a taste of what you’re missing out on if you haven’t picked up Marissa Meyer’s Cinder. Why Dive In: It’s refreshing. Meyer’s brings in all the main characters from Cinderella that I love and then twists them into something completely different while adding in an entirely new world that you can’t help but want to explore. I’m not naturally inclined to sci-fi but the world of cyborgs, androids, humans, and lunars absolutely captured my fascination. What Will Drive You Mad: The ending of the book. It’s a huge cliffhanger and left me flipping through the Study Guide in the back saying, “No, I want more!” So I guess I’m just going to need to go out and buy book 2 of the Lunar Chronicles this weekend. Don’t forget to check out other reviews on The Bookshelf and browse my new Good Reads account and to see what’s coming up! I’m almost a decade behind in reading this novel and now that I have finished it I keep asking myself why I didn’t pick it up earlier. 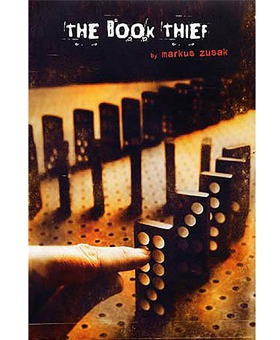 Originally, I had no intention of reading The Book Thief— I was thinking more along the lines of a chilling mystery or some kind of psychological twister. My sister-in-law (to be) is actually the one who changed my mind. She is currently away at college and asked for her original, rain-damaged, spine-torn copy of the novel (she has 2) to be shipped to her as soon as humanly possible, so I became curious. What was it about this book that enraptured her? I borrowed her second copy last Friday and finished it in a week. I don’t think I’ve devoured a novel that fast in a very long time. There are two things that made this book stand out for me: the structure and the narration. Not many books are told from the point of view of Death, and, yes, I do mean Death with a capital D. While other World War II novels have given us unique perspectives, this is the first novel I have read that has looked upon the event from another plane of existence. Readers would be told chapters ahead of time that a particular character would die. I would read on and hope that somehow it would not come to pass, but Death would never let me forget that it was coming with subtle remarks and reflections. The structure of the novel itself pulls the reader through, with excerpts from books within the book, drawings, side notes from Death, and random tidbits of information. They’re just little unnecessary snippets of information that paint a larger canvas for the reader to explore, see, and touch. It’s brilliant. The book is also broken up into sections, which are then divided into chapters. Before you know it you’ve completed an entire section and are hungry to learn what awaits in “The Jesse Owens Incident” or “The Floating Book.” One chapter down- on to the next! Overall Review: If you haven’t read it, you should do so. It’s excellent. There is one moment I have to talk about, and if you haven’t read the book you may not want to continue on, which is why I made sure to put the Spoilers heading above this section. The first and last kiss between Liesel and Rudy. The moment where a young woman, who has just lost everything, kisses the body of her freshly dead best friend. My heart broke. I think I started tearing up there and it just didn’t stop until the end of the novel. However, I couldn’t stop thinking, who would Liesel kiss the rest of her life? She marries, she has children and grandchildren. She greets Death at a ripe old age, but her husband is never identified. Personally, I believe she married Max. Yes, I know there’s an age gap, but a difference in age wasn’t as uncommon and I feel like he is the only one left who would truly understand her. Thoughts? And now, the ultimate question, what book would you steal? Look out for new reviews and check out the rest of the 2014 Bookshelf!